April is Autism awareness month, with National Autism Day on April 2nd, and in the spirit of shedding light on the condition to the general public I wanted to share my experiences working with children and adults dealing with Autism. Over the better half of the past decade I have seen both the extent and severity of Autism. It's depths are wide ranging and exist on a spectrum spanning from low functioning to high functioning, and everything in between. Autism Spectrum Disorders (ASD) can severely impact communication, social interactions, and the ability to understand language; the severity of the disability determines what part of the spectrum a person falls under. As of today there is not a cure for Autism, but being aware of ASD can greatly improve the lives of those who suffer from it and the families who care for those afflicted. Autism is widely misunderstood. Movies like “Rainman,” starring Dustin Hoffman who played an Autistic savant with a talent for calculation, gives a false impression of what Autism is like. While Hoffman did a brilliant job, I have worked with over a hundred different people with ASD and only a small handful act in a manner similar to Hoffman’s portrayal. Most high-functioning people with ASD do not act, for the most part, differently than anyone else. You may have met a person with ASD and never knew it, though you probably thought they seemed a little strange or weird after meeting them. Unfortunately on the low end of the spectrum, some people with ASD lack fundamental life skills and can engage in extremely erratic and dangerous behavior. Some engage in self-injury like slapping themselves in the head, or biting their own hand. Some can be aggressive towards others, make loud shouting noises, destroy the property around them, or run away if they are frustrated, scared, or upset. I was at a restaurant with a client and his mother once when the child with ASD became upset. We tried to calm him down with not much success, and before we knew it the entire restaurant was staring at us. He had never had a breakdown in public before and going out to eat was one of his favorite things to do. There was just something that set him off that day causing a behavior problem. The poor mother not only had to deal with her child, but also suffered the insults of an elderly man who proceeded to scold her. He told her that she was a “horrible mother” and that she needs to “learn how to control her kid.” After we got into the car the mom attempted to hide the tears that ran down her cheek. She knew it was not her fault her child has Autism, but it doesn’t stop hurtful words by ignorant people from getting underneath her skin. That is why it is so important to spread Awareness about Autism, so that the world is a little bit more of an understanding and accepting place for ALL human beings. Though autism can have many disabling qualities it also has many enabling advantages, as in the case of savant syndrome. Autistic savants can show incredible feats of mind like that of Kim Peek, who could memorize nearly every word from every book he has ever read. Peek has the ability to read two pages of a book at the same time by reading the left page with his left eye and the right page with his right eye and retains over ninety percent of the information. Apart from Peek’s superhuman abilities he was unable to function independently and couldn’t live alone. He was incapable of menial chores, brushing his teeth, cooking his own food, or even taking a shower. How can such an uncanny mind be unable to learn how to brush teeth? This is part of the enigma in understanding Autism. The advantages in certain skill areas often come at the price of severe deficits in other areas. In very rare cases there are autistic savants who reach adulthood without exhibiting noticeable social or communicative dysfunction. 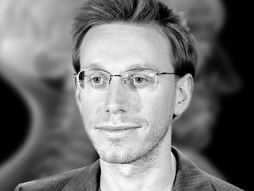 One of these High Functioning Savants is Daniel Tammet who has the ability to compute large quantities in seconds without a calculator, recite pi to the 22,514th digit (Gaurdian UK. ), and learn a new language in a matter of days. Aside from his savant skills he does not exhibit any noticeable dysfunction, though he did when he was diagnosed with Autism as a child. The following link is to a free documentary about savantism and Daniel Tammet entitled “The Boy With the Incredible Brain” and it's a wonderful film if you have 45 minutes to spare. “The estimated prevalence of savant abilities in autism is 10%” -Stephen M. Edelson, Ph.D.
images.ted.com Whatever end of the spectrum a person with Autism falls upon, remember the common principle that all people deserve to be treated with respect. Though you may see strange behaviors being exhibited in public from people with ASD the simple act of being aware of Autism can help avoid the nasty habits of staring, making fun of, or passing judgment from a position of ignorance.